There is nothing better to help you believe in the magic of Christmas than a unicorn! 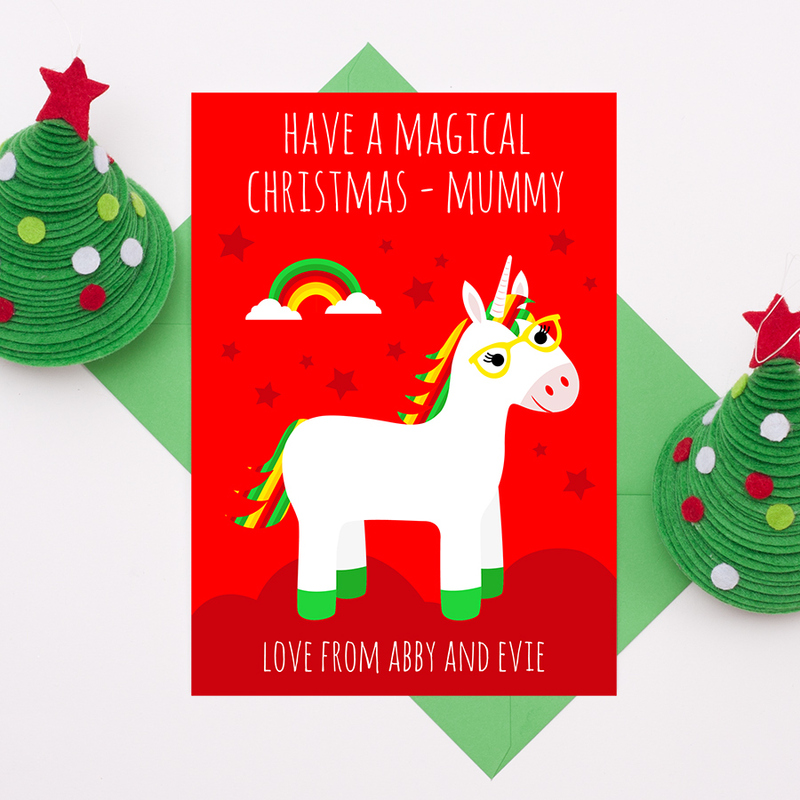 A fun and vibrant Christmas card, ideal to send to anyone this Christmas; your mum, aunt, cousin, daughter, granddaughter or friend. Fab for someone who really believes in unicorns! The design features a cute unicorn, wearing glasses, standing next to a rainbow. The text ‘Have a magical Christmas’ is printed against an intense red background. The card is available in A5 size and also A6 size and is blank inside for your own special message. Enter the name or names you would like on this card. Be the first to review “Unicorn Christmas Card” Click here to cancel reply.